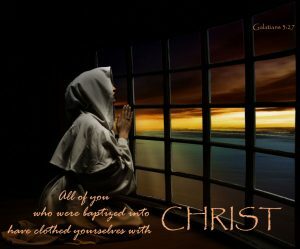 Ave Maria Meditations (Col 3: 3-4) Your life is hid with Christ in God. When Christ shall appear, who is your life, then you also shall appear with Him in glory. Aided by your grace, or Jesus, I live in You and You live in me. But I do not live in You alone, for wherever You are, oh Word, there are the Father and the Holy Spirit also. Praise You, oh Christ, draw me to live in the Trinity. Oh Lord, do not permit me to become so absorbed by exterior activities, even the good ones, that I forget or neglect the wonderful life of union with God to which You are calling and inviting me. In the innermost depths of my heart, hidden from all human joys, dwells the Trinity; help me to dwell with them! Help me to be silent and recollected, to hide myself with God who is hidden within me!